And now you have to reconcile it, too. ~ Ron Samul, M.F.A. And now you have to reconcile it, too. What if The Staff isn’t what you expect? What if it fits the definition of historical fiction but doesn't do what historical fiction does? It isn’t what you think it is. That sounds like a strange riddle. 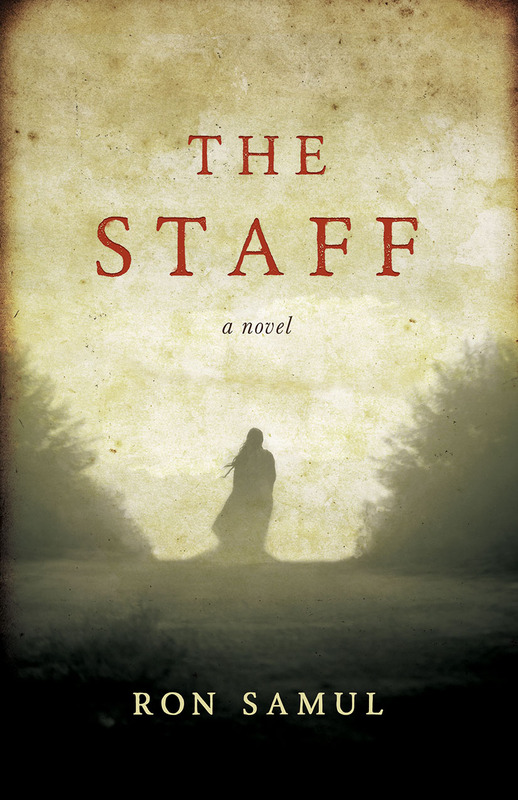 But that is what The Staff feels like - a novel that takes places in unknown history. It isn’t a novel in time, but a novel untimed and unplaced. And that is the whole idea of creating a novel based on an idea. There is a concept called “the novel of ideas” - stories based on visionary times and seeing more than just our own superficial visions of the world, but seeing an idea, a social value, and seeing it subverted. It is a concept that is apparent in speculative fiction, like Fahrenheit 451, where firemen start fires and don’t put them out. Even in Kafka’s The Metamorphosis, we see cathartic and tragic things happening to a man who is alienated. He actually turns into a bug and is completely isolated from his family. The sleight of hand is watching his sister Gerta, draw out of the shadows and become a woman capable of feeling the sun on her face and destroying the evil that is killing her family. Ideas in a novel are imperative. It is more than a theme, but a vision of craft. The Staff functions as a riddle without a punchline. And the very thing you think you will be reading is intentionally withheld. Not because I am a jerk or just couldn’t come up with a solution. It is because the solution, the answers you want is detached from a genre - this isn't a whodunit - that isn’t the idea at all. You may not like this book because it isn't the genre you prefer. Has genre killed your sense of wonder? Do you need to know how the murder happened? Do you need to be the detective? Do you need a red herring? I’ve given you all the things you desire if you were reading and murder mystery, at least at the start. But the novel is not about conforming to the expectations of a genre. It is about what happens when you are put off by it. There is a portion in this novel that directly pays reverence to Shirley Jackson’s The Lottery. And the purpose of that is because it is the ultimate tale of what you think a lottery should be - and what it becomes (a stoning in the town square), is exactly what this novel is. I am not asking you to like it. I am not asking you to be happy or even satisfied with the ending. I am just asking you to live with the idea built in this novel and find your own moments as the scenes pass by. This is not a philosophical novel that stops to contemplate long-winded ideas. It is just an idea, set into motion. And every single character has to reconcile it. And now you have to reconcile it, too.